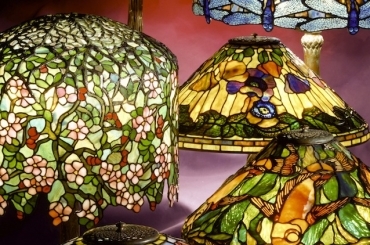 Turtleback lamps can be created in many colors, shapes, and sizes. This 18″ Turtleback shade features lively green/blue/white background of ripple glass. The texture of the glass faces the inside of the shade, giving the outside an even, smooth surface. When illuminated, shade undergoes a visual transformation, becoming a highly textured lamp. The shade is shown on the Twisted Vine base. 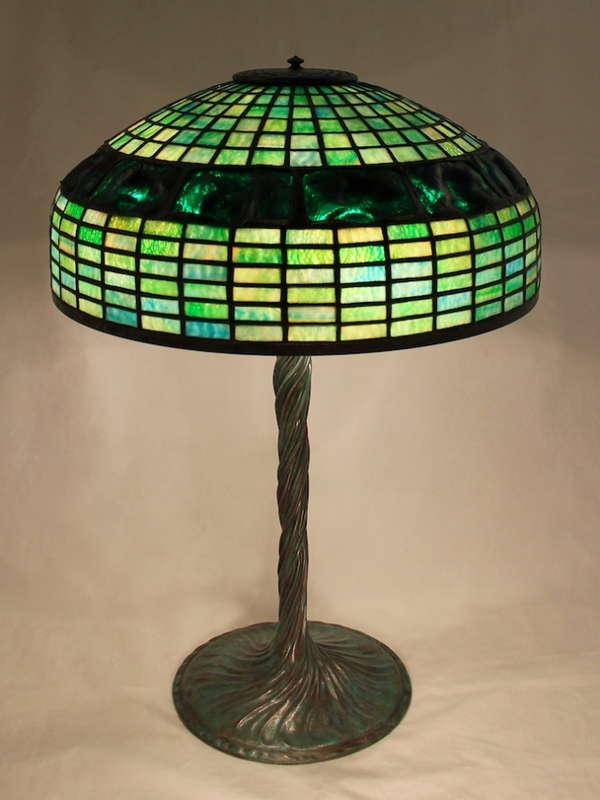 This lamp was commissioned by a Midwest client.